3 Children playing cards for peace. Represented by the Flicker of Hope campaign’s peace dove logo. 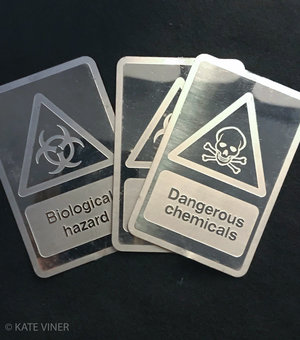 International symbols for food aid and medical aid are etched onto the cards along with the jokers in the pack depicting Bio Hazards, Chemical Warfare and Landmines. All three are maimed by conflict. The African boy is a victim of famine. A Caucasian girl with one leg. A Jewish boy, depicted wearing a Kippot and a patch covering a lost eye. The charity CHILDREN IN CROSSFIRE placed this piece outside a school in Northern Ireland, Londonderry to raise awareness of the cost of conflict. 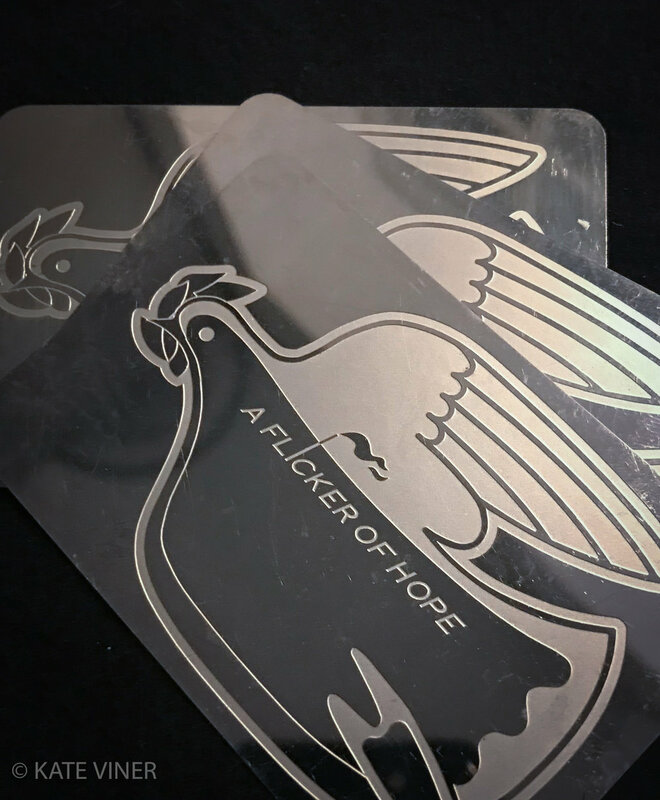 The artwork was used to launch THE FLICKER OF HOPE CAMPAIGN.